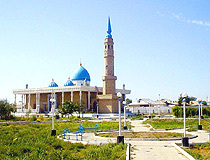 The capital city of Kzyl-Orda oblast. 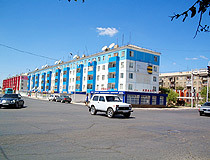 Kyzylorda (also spelled Kzyl-Orda) is a city and administrative center of Kyzylorda oblast (region) of Kazakhstan standing on Syr River. 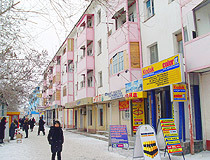 Kyzylorda population is about 201,000 (2009). 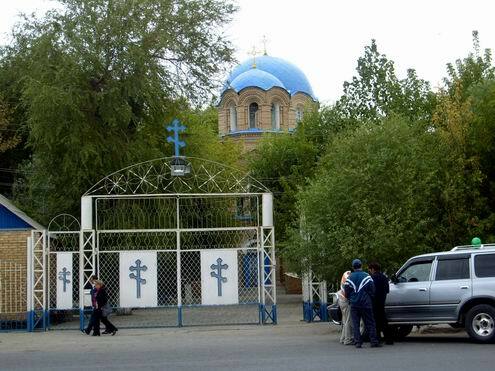 Kyzylorda phone code - +7 7242; postal codes - 120000-120018. 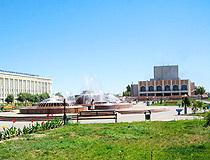 Local time in Kyzylorda city is April 19, 4:23 pm (+6 UTC). 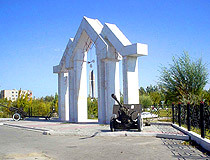 The fortress of Ak-Mechet was founded in 1820 by Omar-khan, the governor of Kokandskoye khanate, as an advanced north-eastern post of the khanate. 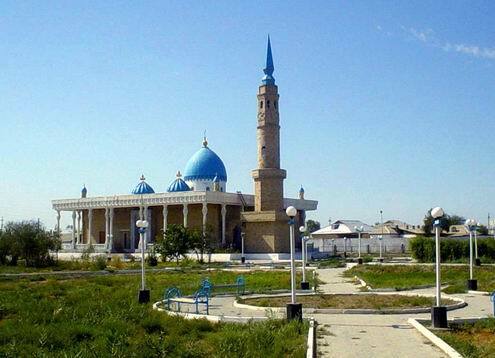 The fortress was built by over 10,000 Kazakhs from nearby villages. 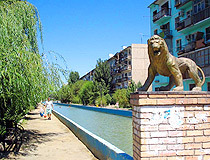 It was founded at the main point of caravan way from Bukhara and Khiva to Central and Northern Kazakhstan and from East to West. 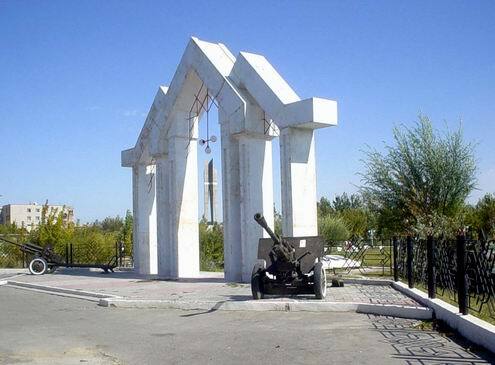 On July 28th, 1853, the fortress was conquered by Russian army headed by general V.A.Perovsky and renamed into fort Perovsky. 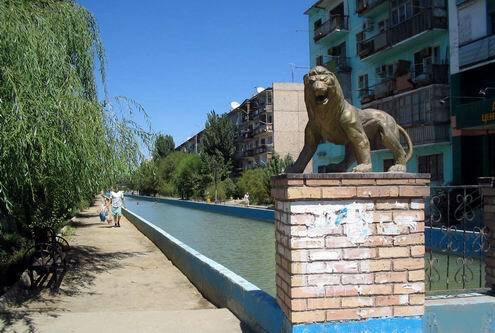 The same year, in December, the fortress garrison successfully withstood a siege by Kokand army. 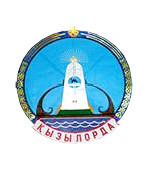 In 1867 it became a town Perovsk in Syr-Daryinskaya oblast, the center of uyezd (district). 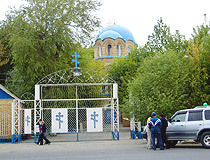 Primary schools were opened as well as brick-making plant, windmills, workshops and shops. 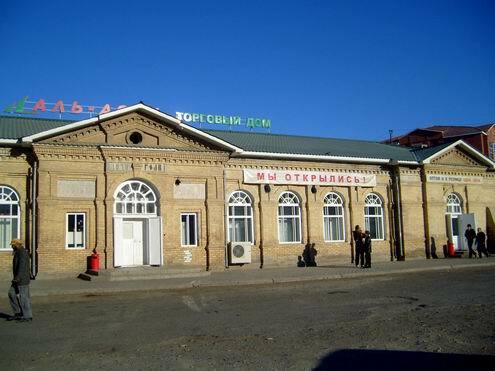 In 1905 railway Orenburg-Tashkent was opened and the train station building and the depot were built in the town. 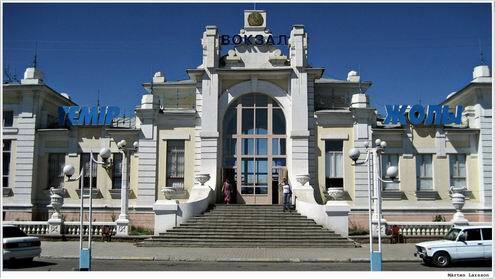 On October 30th, 1917, Soviet power was established in Perovsk. 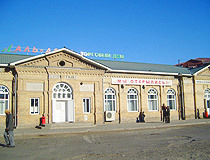 In 1922 the town of Perovsk was renamed into Akmechet. 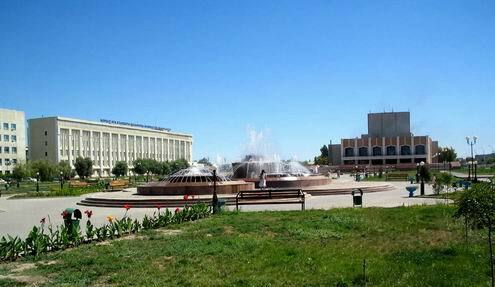 In 1925 it was renamed into Kzyl-Orda, the capital of Kazakh autonomous republic was transferred there from Orenburg, in 1927 it was transferred to Alma-Ata. 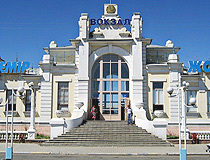 In 1930s and during the World War II the population of the region and the town considerably grew due to migrants from other regions of USSR: those evacuated from regions occupied by Germans, political exiles, deported Poles from Western Ukraine and Belarus, Koreans from Sakhalin, peoples from Crimea and Northern Caucasus regions. 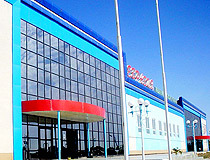 In 1960-70s cellulose and carton plant, mechanical, rice and shoe plants were constructed and housing districts came into being, such as Gagarin, Titov districts. 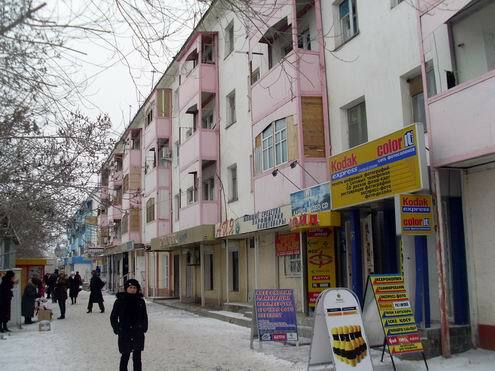 In 1980-90s beautiful buildings were constructed in current Abai prospect, A.Tokmagambetov and Zheltoksan streets. 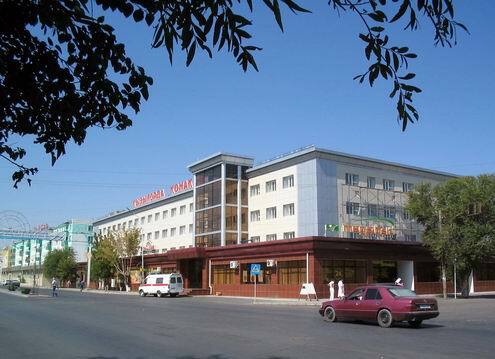 The town became more beautiful thanks to districts Akmechet, Merey, administrative building of “Yuzhkazneftegaz”, diagnostic center and a new large hospital complex. 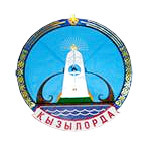 On June 17h, 1997, according to Kazakhstan President’s decree the transcription of the name Kzyl-Orda was changed to Kyzylorda, Kzylordinskaya oblast - to Kyzylordinskaya oblast. 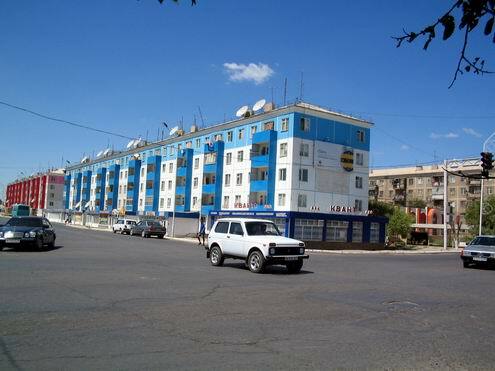 In the second half of 1990s Kyzylorda city communications were repaired as well as roads, a number of houses and new parks were formed. 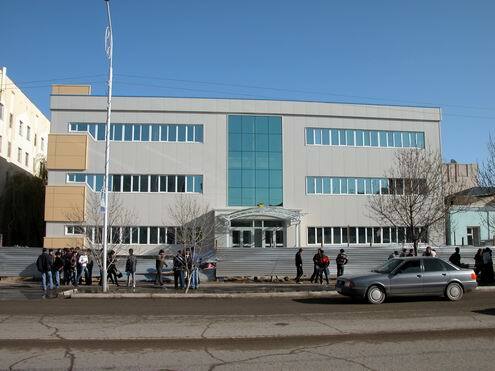 The most important industrial plants of Kyzylorda city are as follows: cellulose and carton (closed), construction materials, house building group of enterprises, shoe, sewing and knitted-goods factories; food industry. 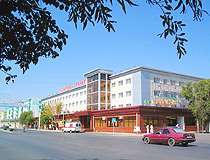 Since mid-1980s oil and natural gas extraction industry is developing quickly: the largest deposit is Kumkol located about 180 km to the north of Kyzylorda. The extraction process is maintained by international companies. 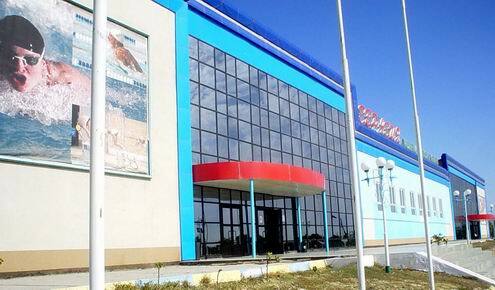 In the outskirts of Kyzylorda city there is a developed agriculture - rice and melon fields. 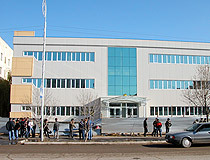 Museum of history and local study.